The health club quality Sole LCB upright bike was recently awarded a “Best Buy” distinction in its price and category. This light commercial unit offers up to 40 resistance levels and a variety of programs that is ideal for home use as well as for clinics and centers with multiple users. The easy-to-read 9" blue backlit LCD display shows standard readouts for your exercise session. 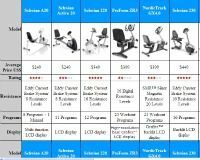 It comes with 6 programs for fat burning and cardio workouts, plus 2 user defined and 2 Heart Rate Control workouts. 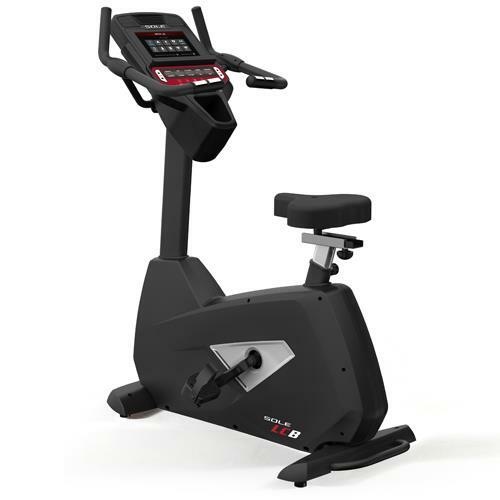 Check out the LCB Upright Bike on Sale at the Sole Fitness Store! The Sole LCB has self-generating power that lights up the console as soon as you start pedaling so you don’t have to place the unit near an outlet. The upright exercise bike also features a commercial-grade step-through frame, a Gel-type seat with vertical and horizontal adjustments, and oversized pedals with Sole’s patented 2-degree inward slope to alleviate strain on the feet. Along with a 30-lb steel flywheel and frictionless brake system for a smooth silent ride, the Sole LCB offers a range of up to 40 levels of resistance that will please users of any fitness level. The attractive backlit LCD display, the music plug-in slot, integrated built-in speakers, and contact heart rate monitors are other nice additions to this beautiful exercise bike. The LCB was redesigned in 2016 to include a larger 10.1" TFT LCD display that is much more user friendly. They also added Bluetooth technology that lets you sync your workout results with the Sole app as well as other popular fitness apps so you can monitor your progress and set goals for yourself. The mid-level Sole B94 received Bluetooth as well, but as of this writing the entry level B74 upright did not. For $1,299, the Sole LCB upright bike has a larger flywheel for a smoother performance than the Sole B94 ($799) model, plus it has more resistance levels, a longer warranty, and a self-power source. 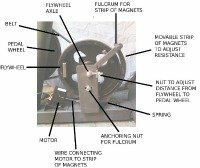 Otherwise, the two uprights are similar in size, programs, and design, so if you feel you can get by with a 26-lb flywheel (which is more than adequate for most users) and have no problem getting a bike with a power cord that plugs into a wall outlet, you can go with the B94 instead and save $500.